What is a New Jersey Rental Application? New Jersey Rental Application: What Is It? A rental application in the state of New Jersey is a document that helps landlords determine whether or not an applicant is qualified or trustworthy enough to rent an apartment. 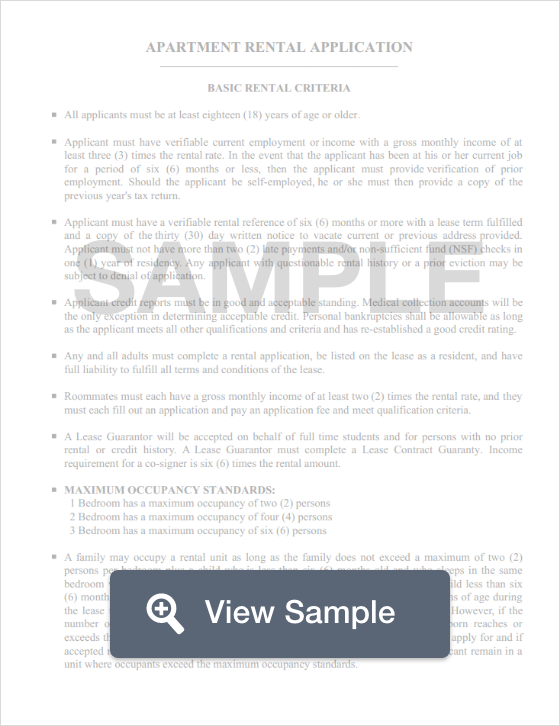 A rental application reveals an applicant’s rental history, their income, and other details that may further qualify them or disqualify them from renting the apartment. For applicants, a rental application works to protect them from discrimination by forcing the application to conform to federal fair housing laws. New Jersey’s Laws dictate that a security deposit may not be more than one and one-half (1.5x) month’s rent. If the tenant has pets, the security deposit may not increase more than 10% than the normal security deposit amount. Once the tenant moves out, the landlord must return the security deposit within 30 days. However, if the tenant must vacate the property due to a disaster like a fire, condemnation, or flooding, the landlord must return the deposit within five (5) days (N.J.S.A. §46:8-19).